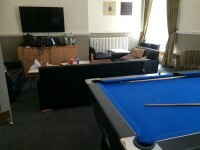 Services / facilities within the building include catered student accommodation, common rooms, laundry room and conference facilities. Lyddon Hall also has several annexes. 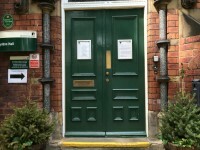 Please see the separate guide for Cromer Terrace (Lyddon Terrace) for details of the annexe containing accessible accommodation. 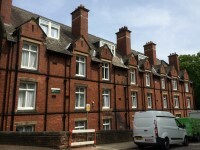 Related link Cromer Terrace (Lyddon Terrace). 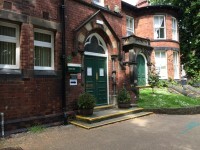 The campus is located to the north of the city centre and the A58(M), just off Woodhouse Lane. The campus is served by bus routes 1, 5, 56, 6 Sky Line, 28 and 97. Leeds station is located in the city centre, approximately 1 mile from the campus. Please see the University Website Find Us page for more information on getting to the campus. Please see the West Yorkshire Metro website for details of the buses serving the University. Please see the National Rail Enquiries webpage for Leeds Station for more details. Telephone Number: 0113 343 8877. To see more information on Disabled Students Assessment and Support please click here (opens new tab). Telephone Number: 0113 343 3927. To see more information on Mental Health Team please click here (opens new tab). 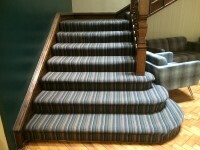 Telephone Number: 0113 343 7458. Telephone Number: 0113 343 7777. The on street standard parking bay(s) is/are located on on Cromer Terrace. The on street parking on Cromer Terrace is not marked into bays (shown in photograph 1). 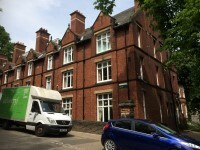 Residents can use the parking for Charles Morris Hall, however at the time of the survey this was closed due to ongoing construction work. 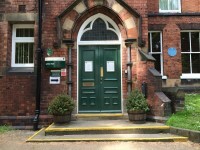 There is no designated drop off point, but the loading bay outside Lyddon Hall can be used as a drop off point if necessary (shown in photograph 2). 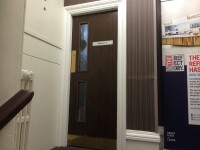 The door opening is 62cm (2ft) wide. 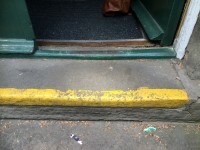 The step(s) is / are located in front of the entrance and at the threshold. 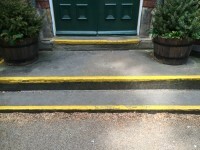 The steps are of varying heights. The first step is shallow. 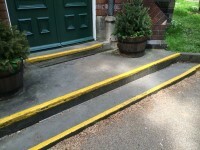 The second and third steps are medium height. 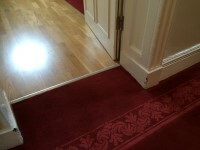 The fourth step is shallow and forms part of the door frame. 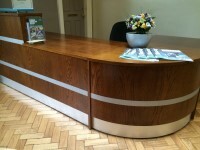 You are on Reception (Main Hall Reception). Skip to the next section. 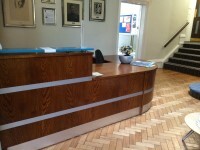 Lyddon Hall Main Hall Reception is located immediately ahead on the left as you enter the building. 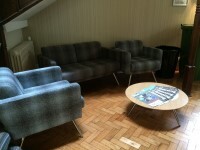 There are seats in the reception area. 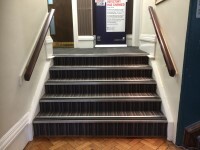 There is/are 5 clearly marked step(s), with handrails on both sides, for access to the ground floor bedrooms and conference centre. 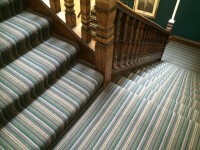 The steps are shown in photographs 1 & 2. There is an easy ramp, with no handrails, for access to the boardroom from the tea/coffee facility in the conference centre. 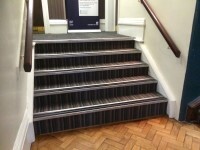 The ramp is shown in photographs 3 & 4. 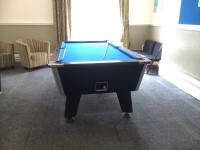 There is a common room on the ground floor with a TV, sofas, and a pool table (photographs 5, 6 & 7). 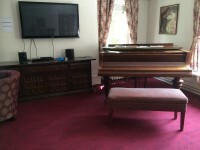 There is a reading room/study on the first floor with a library, TV and piano (photographs 8 & 9). You are on Conference Centre. Skip to the next section. 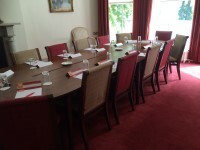 There is a conference centre to the right hand side of the ground floor. There are 2 meeting rooms. 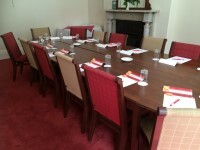 One of the rooms is a large meeting room, the other is a boardroom. 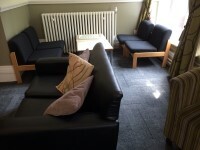 The rooms have a table and chairs. 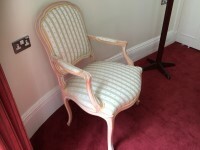 Some of the chairs have armrests. 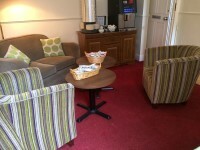 There are tea and coffee making facilities and a casual seating area between the two meeting rooms (photograph 4). 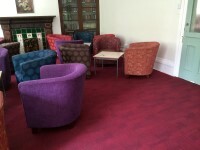 The area(s)/service(s) on the floors which are not accessible is/are bedrooms & the reading room/study. Rooms are located at the rear of the building, beyond the deep steps. 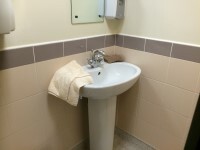 All rooms have shared toilet and shower facilities on each floor. 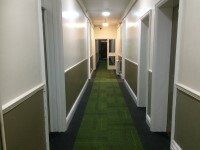 Photograph 1 shows the door on the ground floor to access the rooms and shared facilities. 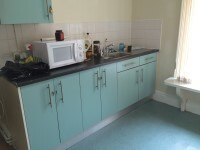 There is a shared kitchen on the ground floor (photograph 2). There are male and female toilets in the conference centre. 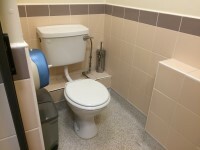 The toilet surveyed is located beyond the door to the conference centre on the ground floor. 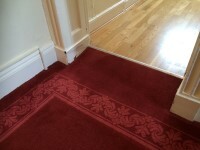 The standard toilet surveyed is approximately 16m from the main entrance. The male toilets are located towards the far right of the conference centre.